You’ve created a great Bound and want to make it available so others can continue on it? Now, you can make your Bound available so that other licensed users can edit it in the Bound Creator. Click on the Bound you want to share and then on the button next to "Activate public copying". Now you can share the generated link with other users. When you’ve already created a few bounds and your dashboard is getting chaotic, you can use folders to tidy up a little. 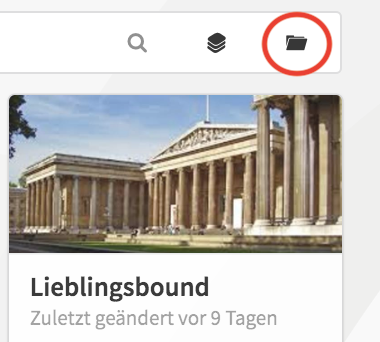 Click on the folder icon on your dashboard. Type in a name for your folder and choose a color. Now click on “Create Folder”. 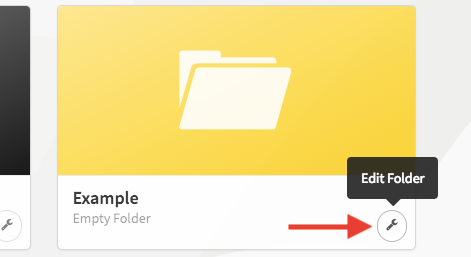 You can now drag & drop bounds into the folder or create new Bounds inside the folder. Name and Color can always be edited by clicking on the tool icon. Here you can also delete the folder. Type in the name of the folder and decide whether you also want the Bounds in the folder to be deleted or if they should be moved to the next higher level. If you use Instant Accounts a new folder will be created automatically. If you want to know what Instant Accounts are, check it out here.